Thank you for checking out Frantic Live so far. 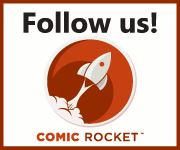 This comic updates Tuesdays at 10 AM PST / 19:00 CEST (Germany)! 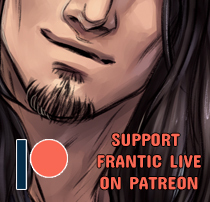 I work with a pretty long buffer, so if you'd like to read ahead of everyone else, head over to my Patreon! Weeks worth of pages and more are waiting for you there.